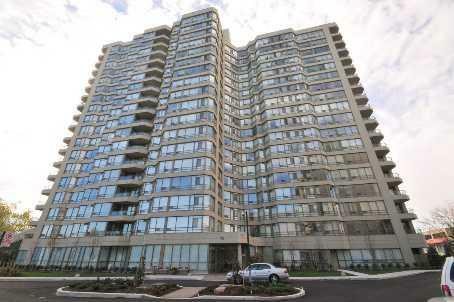 King Garden condominium is located at 75 King Street in Mississauga, about five minute drive from Mississuga's downtown. This is a low rise condominium with 19 floors and 209 suites. This is older Mississauga condominium that offers specious one and two bedroom suites (largest are over 1200 sq.ft in size). Larger suites have dens. All suites have balconies, big windows and mostly are sold with parking and lockers. Some suites are sold with tandem parking for two cars. Storage rooms are large and can hold a lot of stuff.Suites facing south have beautiful unobstructed view of Downtown Toronto. The condo fees include: heat,building insurance,common elements,water,hydro,central air condition,parking and cable TV. King Garden condominiums have very good amenities which include: Concierge, Gym, Pool, Whirpool Hot Tub,Party Room, Sauna and Car Wash! . There is a plaza with grocery stores and bank across the street.King Garden condominium is a great choice for buyers looking for older condominiums with balconies.